WMV is also known as the windows media video. This is actually name of video codec series which is developed by the Microsoft. WMV format is used to play videos in the windows media player of windows operating system. This format is commonly not available today because most of the files are there over internet in the mobile compatible formats. 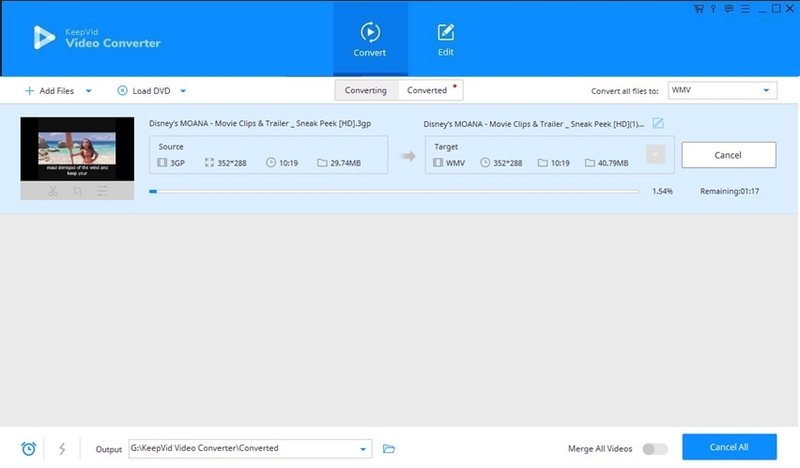 If you want to keep your files in the WMV format then you can go through this guide to know how to convert 3GP to WMV. In this part of the article we will look at a best converter program which is KeepVid Video Converter. This software is the end of your video converter research because it can do all conversion in original high quality. This product is perfect video converter as it also allows you to download and edit your videos. You can quickly download online videos from YouTube or many other sites and then convert them in the other devices compatible formats. Convert online and offline both type of videos to 1000+ formats very easily. You can download online videos from 10000+ sites including all major sites with this converter. You can also trim, crop or personalize your videos using edit option. Step 2. Select MP3 as an output, and click the Convert button to start converting 3GP to WMV. From the official website URL you can download the program and install it on your system. Click the Add Files button and select the 3GP file which you like to convert. Look at the top right side of convert tab and click on inverted triangle beside “Convert All Files To” and select the target format as WMV. After choosing the appropriate setting for your files click on “Convert All” button to start conversion. • KeepVid Video Converter comes with many preset conversion profiles. You can choose the target format from them or make your own format using edit option. • If you don’t have the desired song or video on your system then you can find it on the online websites and download using this software. 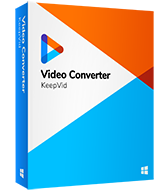 • Please close any other converter program while running KeepVid Video Converter to get the best results. KeepVid Online Video Converter is also a part of KeepVid Video Converter but it is online. 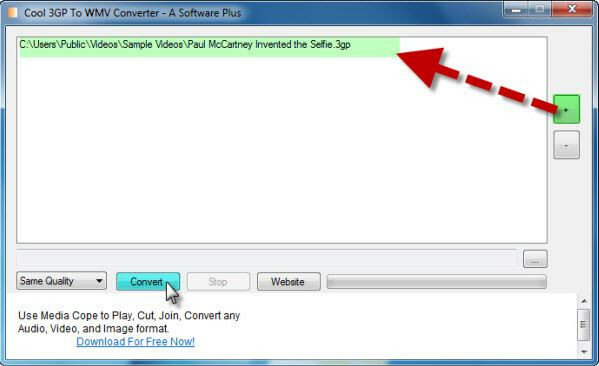 With this converter website you can convert the videos in nearly 60 formats without any issues and totally free of cost. This is an online website so you don’t have to install any software or app on your system to start conversion. The conversion process is very simple you just need to select the file from the local computer and then select target format. Finally click the “Convert” button. Your file will be converted online and you will get a download link after conversion. Online Converter is other 3GP to WMV converter online website over internet. This website offers you free conversion online without any installation. This 3GP to WMV converter online website enables you to convert images, videos, audio, EBooks and documents online for free. You can also convert the online videos by entering URL of the video but it is not possible to convert the protected videos using this website. WinX HD Video Converter Deluxe can also convert 3GP to WMV and many other formats. This converter program is a fully featured software which allows you to convert videos in high quality, download videos from online websites or edit the videos before conversion. This is a paid program but you can use it’s trial version to test the program features. Convert videos in the high quality HD formats with 410 preset profiles. Download videos from major video sites and supports 300 video websites. Edit the videos and personalize them as per your need. 3GP to WMV converter, as the name of this software define its functionality this software enables you to convert 3GP to WMV format. You can convert the videos in some other formats with this program. This is a freeware program and comes with very easy to use interface. The sad part of this software is that it is only available for windows, Mac users are left behind. This is a free and fast video conversion program. Fully compatible with windows operating system. 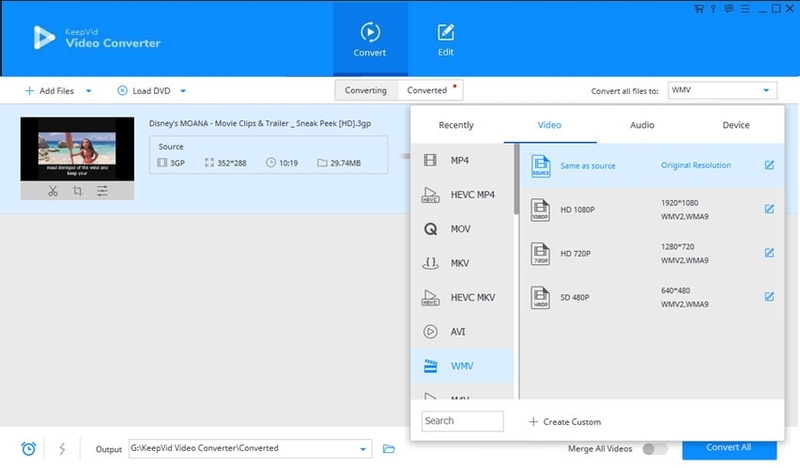 Supports batch video conversion so you can convert multiple videos together. Easy to use program interface.